If you love cute animals and memes (and who doesnâ€™t), then this is the competition for you. Weâ€™ve been amazed by the response to our first Christmas Sale offer this year â€” a two-year Learnable membership with a big donation to the Penguin Foundation â€” and we decided we want to throw down for the penguins! So we are launching a competition via Twitter, Instagram, Facebook and our forums for the 5 best penguin-themed memes. 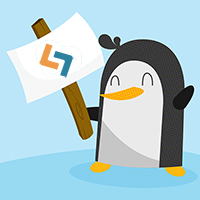 The winners will each receive an annual Learnable membership and an Adopt a Penguin pack from The Penguin Foundation! Automatic membership to the Penguin Foundation. A thank you letter from the Penguin Foundation. One thank you card with penguin photo. Our regular newsletter updating you on the progress of the penguin colony and Penguin Foundation projects. A little penguin fact sheet. A free Penguin Parade entry voucher for an adult or child. Comment on this article to submit your meme to our forums. Donâ€™t want to create your own? Spread the word and like your favorites! You can retweet our lead off tweet. Winners will be notified within a few days. Memes must be submitted as directed above. No profanity (in the caption or the picture). Each meme post should have the watermark/hashtag â€œ#penguinningâ€� and tag/mention SitePoint where applicable. The penguinning memes will be judged by a panel of specialist SitePoint penguin judges. Tom is the product manager, data analyst and office barista at SitePoint. Each meme post should have the watermark/hashtag â€œ#penguinningâ€� and tag SitePoint. Mind giving an example please? I'll update the post to reflect this, thanks!